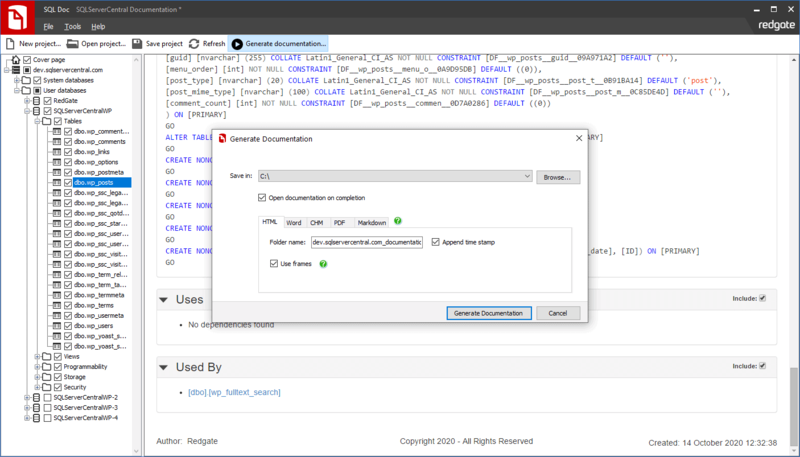 You can create documents as HTML, PDF, Microsoft Word, or Markdown files. 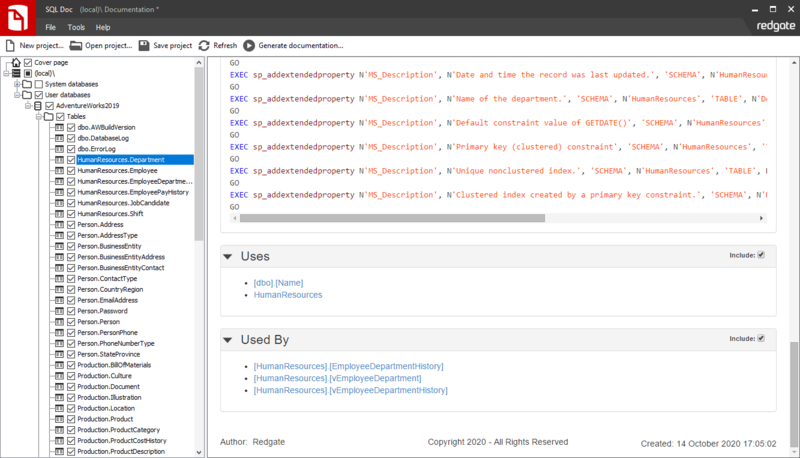 Information about object definitions and dependencies is automatically included, and you can add further descriptions to your database objects if necessary. 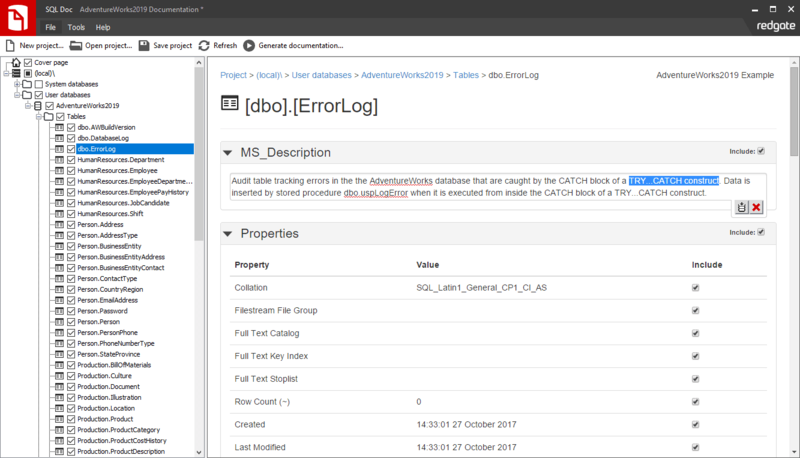 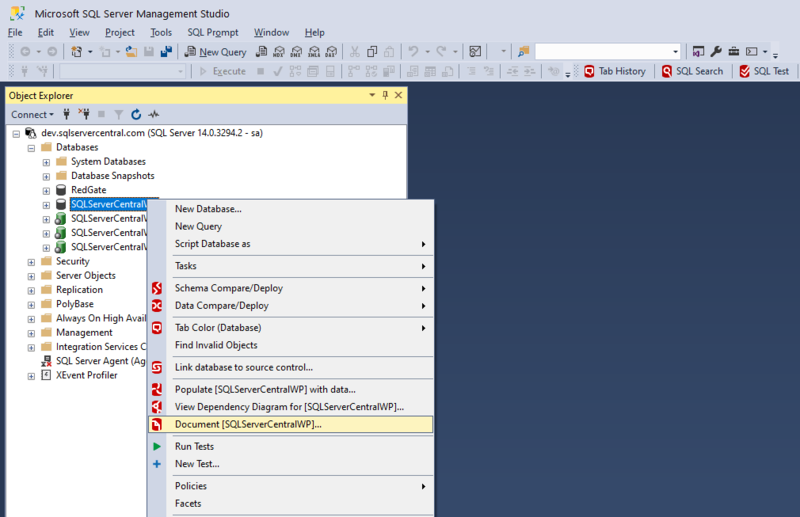 Browse example documentation generated by SQL Doc for the AdventureWorks sample database. 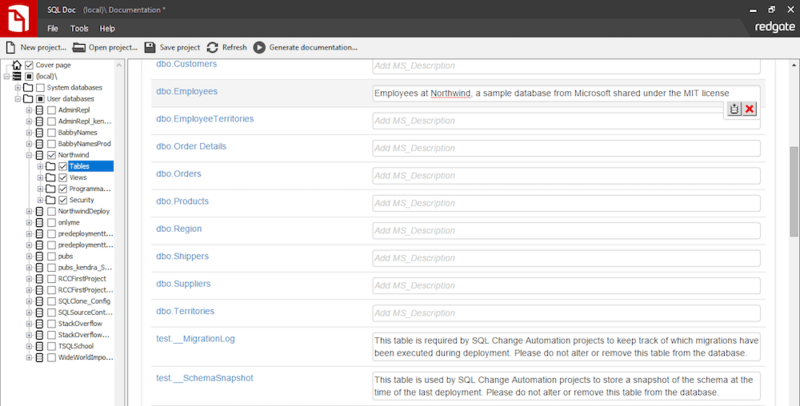 Lumidata uses SQL Doc as part of the SQL Toolbelt. 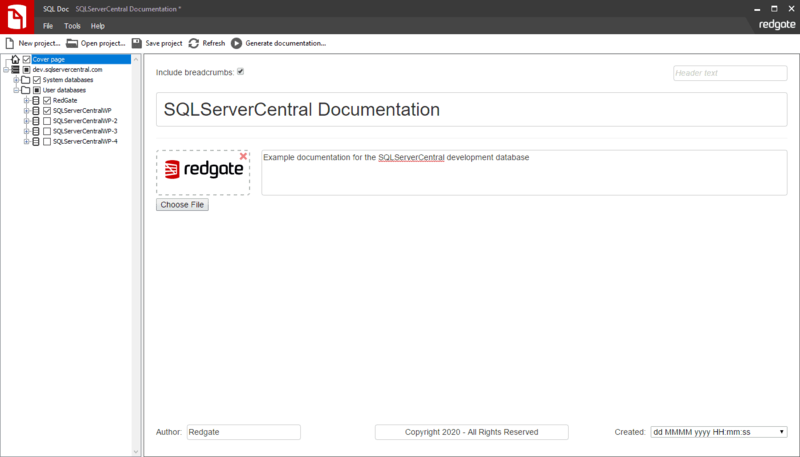 Document your database for free right now - try SQL Doc free for 14 days. 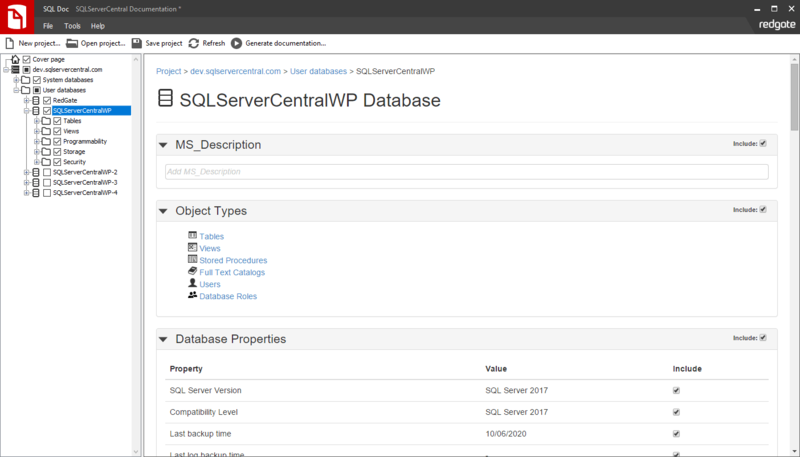 Work faster, protect your data, and be agile, with the industry-standard products for SQL Server development, deployment, backup, and monitoring.